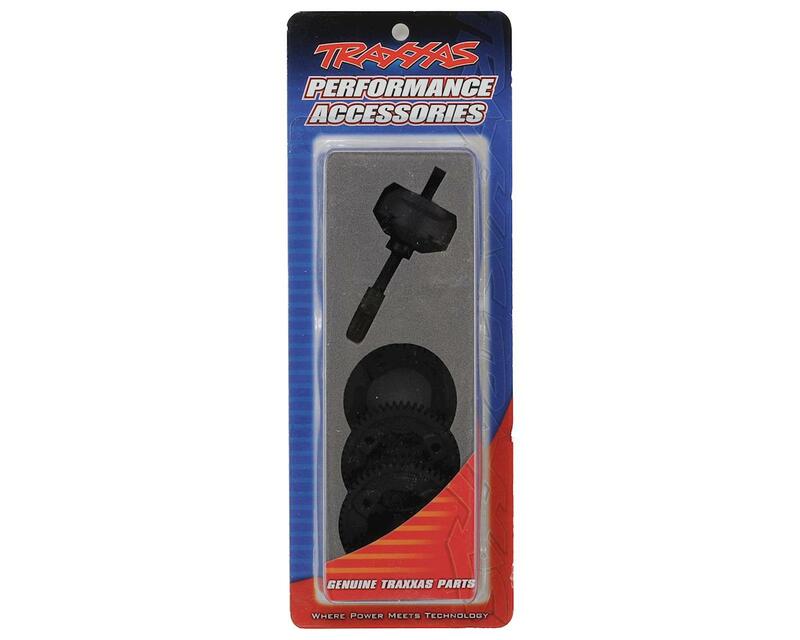 This is the Traxxas Complete Center Differential Kit and is intended for use with the Traxxas Slash 4x4. This pre-built center differential will give you the competitive edge! The optional center differential transfers power to the front and rear differentials independently for maximum corner speed and smooth power delivery in rough track conditions. The differential is sealed and can be tuned for specific driving conditions by filling the differential with silicone fluids of different viscosities. 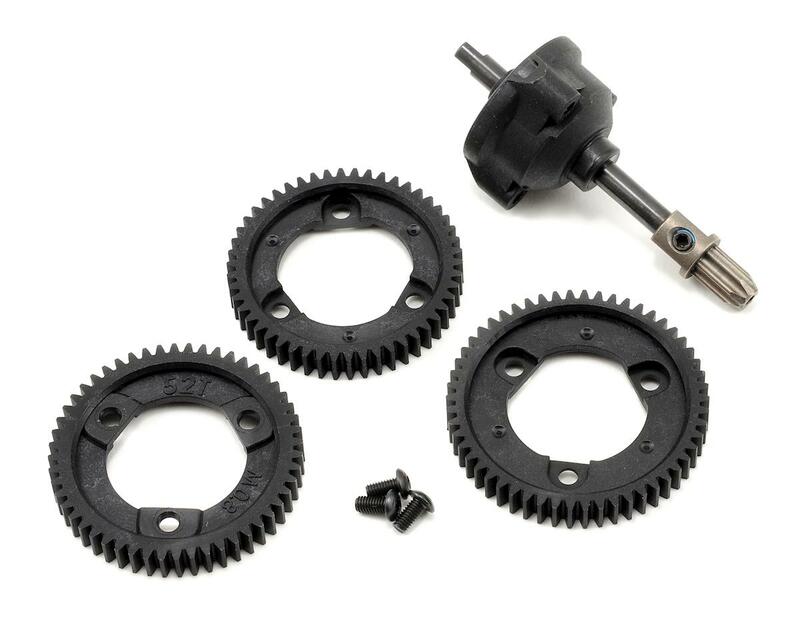 The center differential comes fully assembled and pre-filled, and the modular design of the Slash 4x4 allows you to install the differential in a matter of minutes making this a must have tuning option for the Slash 4x4. This center diff really improves cornering and handling in general. However, it cannot withstand stress. I'm running a Novak 550 motor on 2S and the diff housing broke at the neck after about 30 minutes total runtime. The neck is VERY thin and is a weakness in the design, IMO. Maybe Robinson Racing will make a durable one? I really like the performance but wish it would last.